Lip augmentation encompasses a broad range of procedures from simple injections to surgical implantation of permanent implants. Temporary injectable fillers used for lip augmentation include a wide variety of natural and synthetic compounds (also see section on dermal fillers) such as bovine (cow) collagen, human (foreskin) collagen (Cosmoplast), human (cadaver) collagen (Cymetra), hyaluronic acid (Restylane), and fat. Fillers such as silicone and polymethylacrylate (Artecoll) are permanent fillers sometimes used for lip augmentation. Implants are more permanent methods of lip augmentation and require surgery. Most of the implants are made of expanded polytetrafluoroethylene (ePTFE) and can be removed if needed. Fillers and implants will be discussed separately. What does lip augmentation feel like? The filler is injected into the lip, which can cause pain. Anesthesia and pain medications are often used to decrease pain. Your lips will be bigger after the procedure both because of the swelling and the filler. 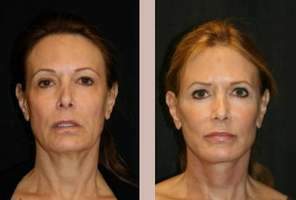 You will see the results of the filler alone after the swelling has subsided in a few days. You can most likely return to your normal activities in a few days, after the swelling subsides. The temporary fillers in the lip last 3-6 months at best. Each filler has its own risk profile. In general, the main risk of animal-derived collagen fillers is an allergic reaction. Even people who have tested negative to the allergy test required before treatment sometimes have allergic reactions. On the other hand, the human-derived collagen fillers appear to be well tolerated. There are theoretical risks of transmission of disease from donor tissues although extensive screening of the tissues are performed. The newer, synthetic, injectable fillers like Restylane, Perlane and Hylaform reportedly have minimal side effects. However, some patients have reported prolonged swelling and inflammation, and nodules at the injection sites with Perlane. The permanent fillers (Artecoll and silicone) carry several risks, including necrosis, granuloma (a hard, bumpy scar), severe inflammation, extrusion and infection. You and your physician need to the discuss the risks and benefits of the different options if you choose to have lip augmentation with fillers. There are many kinds of lip implants available today including Advanta, AlloDerm, Dermis grafts, Fascia Grafts, Gore-Tex, SoftForm, Tendon Grafts, and UltraSoft. Gore-Tex, SoftForm, UltraSoft and Advanta are made of a foam-like material called expanded polytetrafluoroethylene (ePTFE). Advanta is porous, allowing your own tissue to grow within the implant. Alloderm is an acellular collagen material made from human donor. The material is purified, freeze dried, than re-hydrated prior to use. The AlloDerm is placed into the lips and integrates into the surrounding tissue as the body grows and heals around the graft. Long term studies are in progress to evaluate how long Alloderm implants last. Why are lip augmentation procedures performed? Lip augmentation is an elective procedure used to add volume and definition to the lips in a more permanent fashion. How are lip implants performed? You are first injected with local anesthetic for pain. These injections are similar to those you might get at a dentist’s office. After you are numb, incisions are made at each corner of the mouth (4 total) and the implant is inserted into the lip through the incisions. The implant is trimmed, the incision sites are sutured, and the wounds are dressed. Your physician may use absorbing or non-absorbing suture material. There is usually very minimal bleeding. 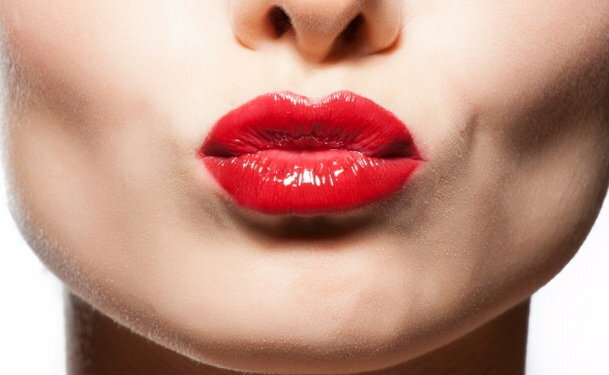 How will my lips feel after the augmentation procedure? You will have some swelling and pain post-operatively. Your physician can provide pain medication for you. You may have difficulty eating and drinking at first. You may experience numbness in the beginning as well. It takes about one week for the swelling to subside, and there may be pain with pressure for up to three weeks. Bruising is usually minimal You will have your sutures removed in about 5 to 10 days. Most of the implants are considered permanent. Alloderm is relatively new and its duration is still being evaluated. What are the risks of lip implants? Infection is a common, but treatable risk. Other complications of the removable implants (Gore-Tex, SoftForm, UltraSoft and Advanta) are less common but include migration, extrusion, decreased mobility, and irritation from a poor fitting implant. The hollow implants (UltraSoft) allow your own tissues to grow into them which decreases the risk of infection, rejection, and mobility. However, they cannot be removed if there is a complication. Cost is variable but usually runs about one thousand dollars per implant. All implants carry the risk of permanent discoloration, scarring, and deformity. If you decide on implants, you and your physician will need to discuss the risks and benefits in detail.